A third of our life will be spent working. Today’s working environment is increasingly stressful. Organization get pressured (less and less people to accomplish tasks) while revenues shrink (more and more competition). The cost of this is employee wellness. Burnouts. Depression. Resignations. Sick leaves. 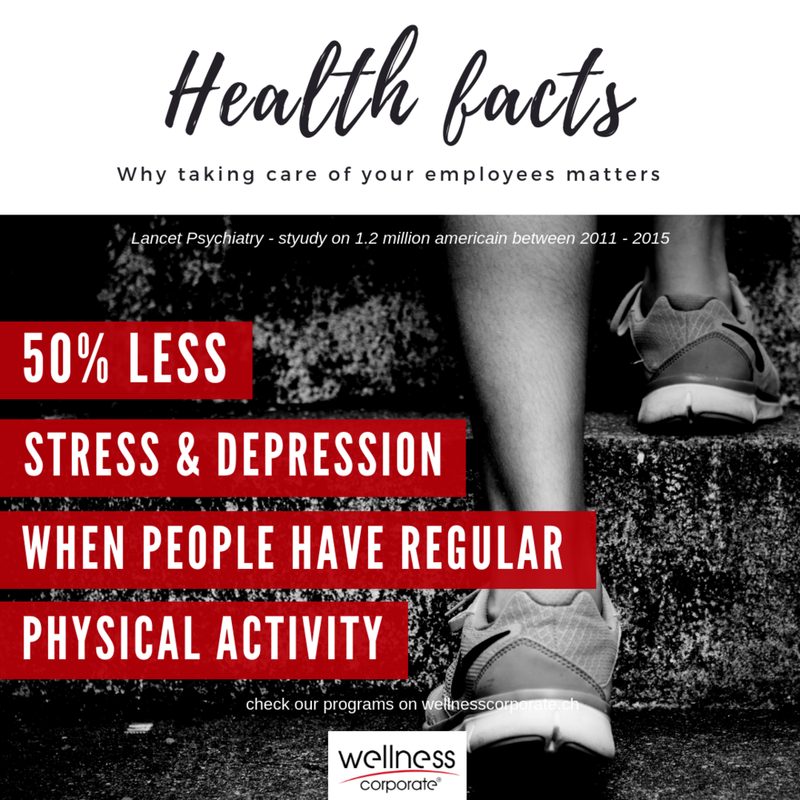 Wellness programs help companies setting tangible actions, thus changing the mindset and caring for employees’ health. When employees see the organization is already trying to fix the problem it is creating a supportive environment which will result in higher engagement, therefore, better return on investment. 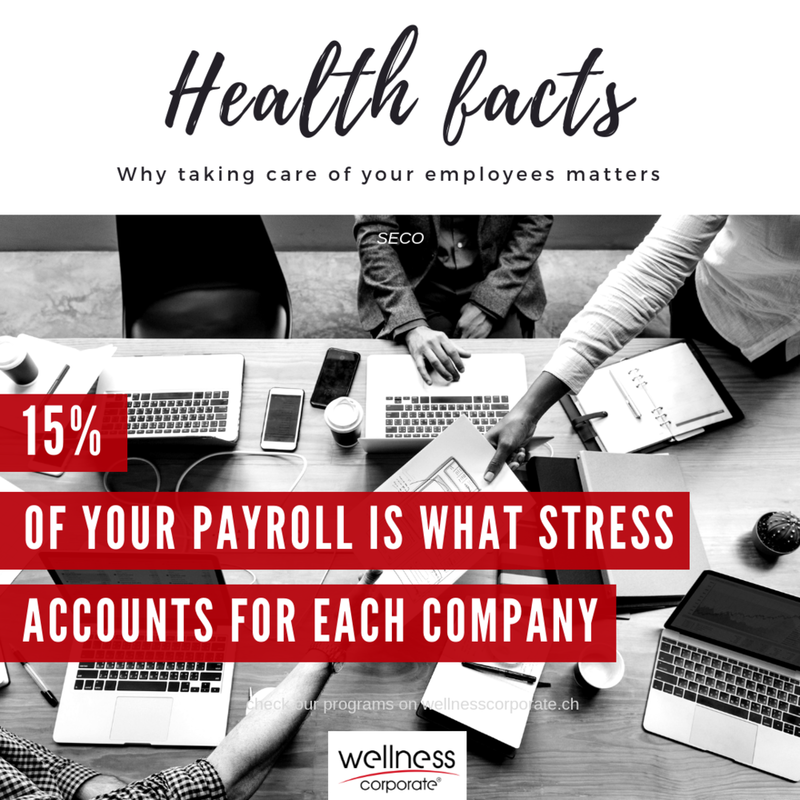 Your organization can reduce stress with management programs, prevention workshops, trainings... thus improving working conditions, appraisal systems or recruiting. Wellness programs contribute to changing the mindset, increasing employee’s ressources & health and releasing stress. Wellness programs work well in healthy companies. Wellness program is not about sport. It is about setting both employees’ mind and body in motion and providing knowledge and feedback for people to monitor their own health. We can help you set a program in accordance with your company objectives and ressources. We have developed tracks and sessions to address awareness, mindfulness, nutrition and of course physical training. Our Wellness Program Director will help you choose what is best for you. Duration matters. It is taking an average of 7 weeks in a row (7 days a week) to set a new habit. We therefore need to set a long term program if we want to provide you with durable benefits. For employees to keep motivation at its best, we have gamified our approach. Through challenges, rewarding practices and of course caring coaches, we are able to maintain engagement and stimulate team building. Wellness challenges, nutrition crash courses or active breaks are just a few examples of what we use. International companies have already trusted us and noticed an increased health awareness among their employees who have participated in our programs.